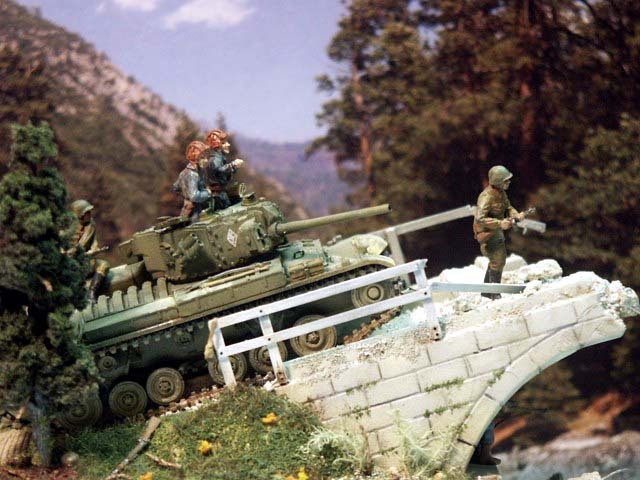 The diorama is set in April of 1945 and depicts a Soviet Lend Lease Valentine Mk X tank and tank riders coming up to a blown bridge over a canal. A mixed group of fleeing German soldiers hide under the bridge. The Soviets belong to the 4th Motorcycle Reconnaissance Reg. 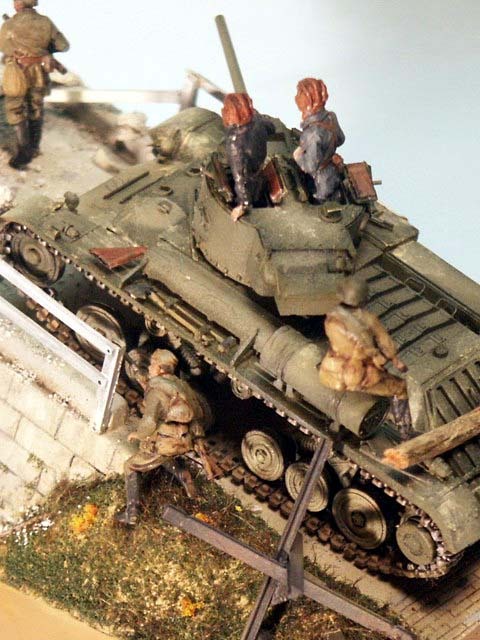 of the 6th Tank Army which was in the Bucharest area in 1944. 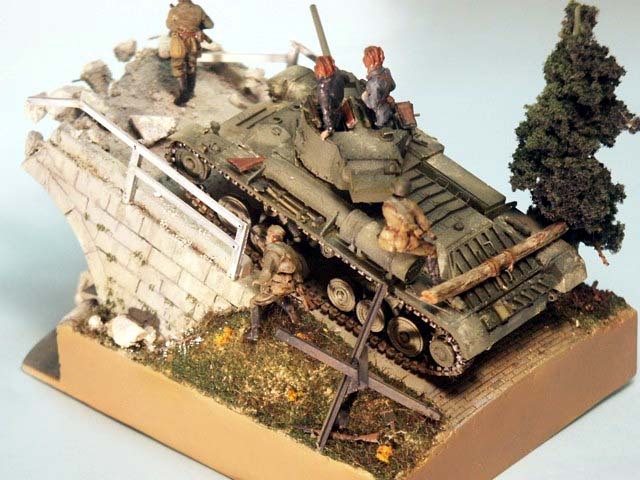 The tank is an ESCI/Italeri Valentine Mk I model kit with the MR Conversion MR-7281to make it into a Valentine Mk X. The Mk X was a Valentine Infantry tank upgunned from a 2-pounder (40-mm) gun to a 6-Pounder (57-mm) tank gun. 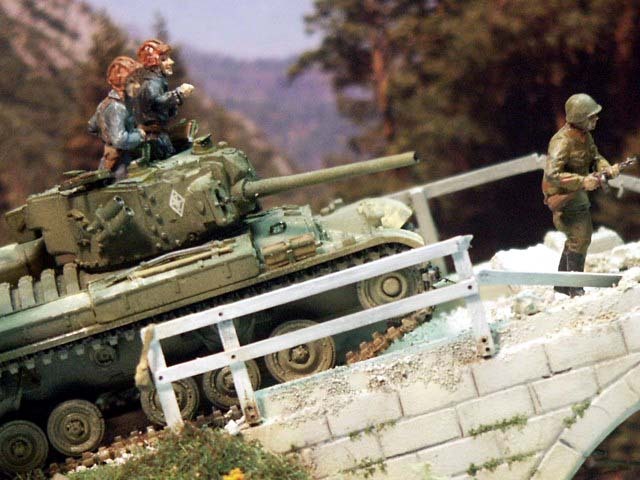 The tank crew are AB white metal figures. I normally find AB figures to be a little short and with too large a head but they look great in a tank hatch. 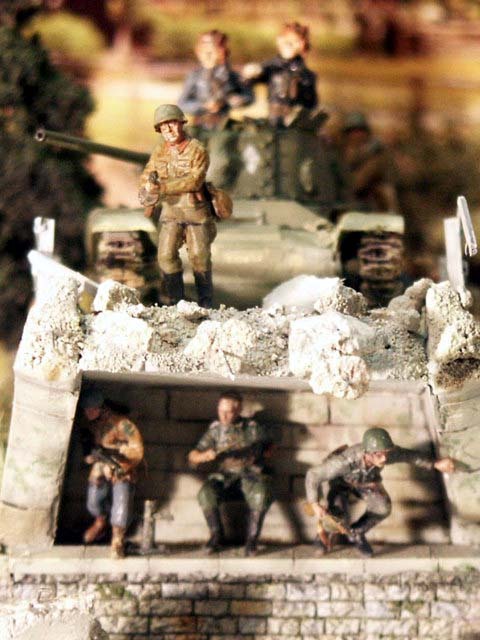 the infantry figures are all Preisser hard plastic from Preisser's two Soviet Tank Riders sets and German Infantry sets.